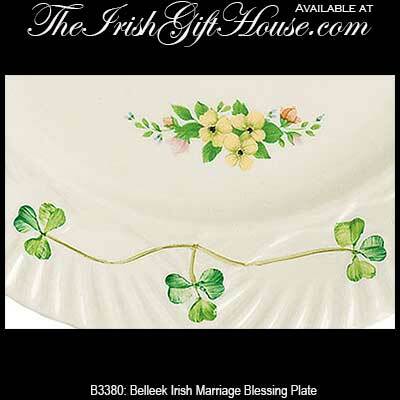 This china marriage blessing plate is in the harp pattern and features a traditional Irish wedding blessing along with Belleek's famous hand painted green shamrocks. 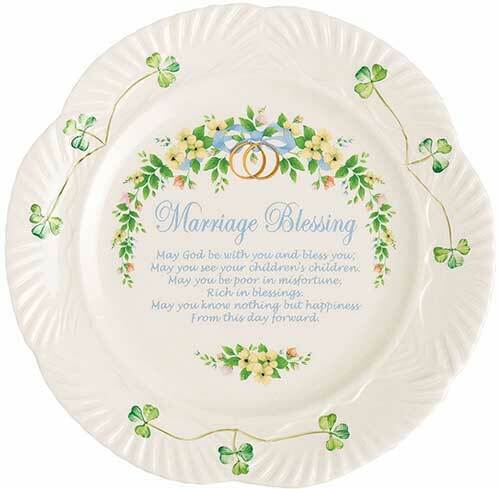 The marriage blessing plate measures 9” in diameter and is gift boxed with a shamrock history card, complements of The Irish Gift House. 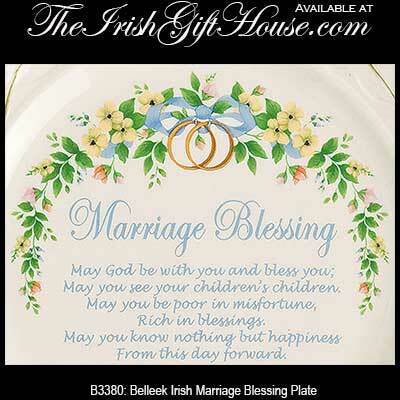 This Irish blessing plate is hand crafted in Belleek, Ireland.